When it comes to getting mail directly into the hands of customers, TradeNet rates as a full-service provider. Our Mail Services department has the ability to quickly and economically handle virtually all types of direct mail projects from start to finish. And why not? 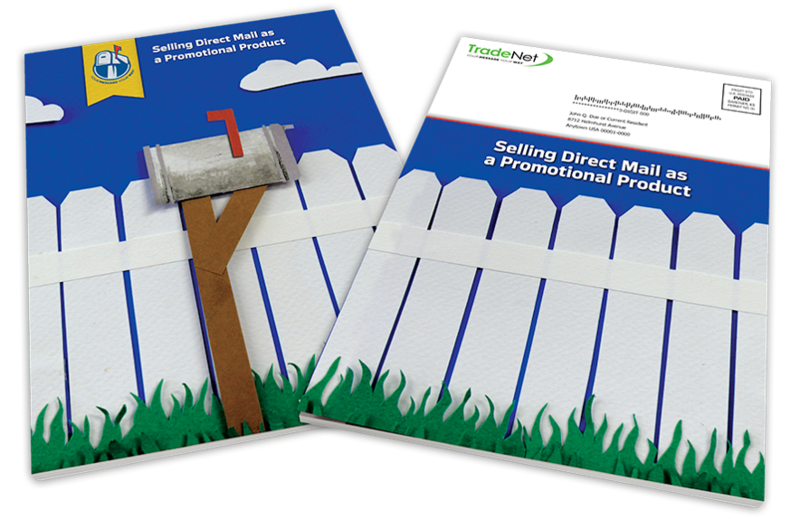 Having a team of direct mail experts to help customers complete the project is TradeNet‘s way of helping deliver Your Message Your Way™. With the ability to clean lists and pre-sort, we save you money. Variable data capabilities let you create highly targeted and unique mail pieces. We have the expertise, equipment and systems to handle mailing, data processing and printing to deliver the direct mail at a lower cost and with results you expect. Reply to this story if there’s any questions we can answer or for ways we can help. Back by popular demand, this Professional Development Workshop is designed to help distributors add direct mail to their inventory of promotional offerings. Chances are many distributors have customers who currently include direct mail as a marketing tool. Learn how to become a direct mail expert and enable customers to take advantage of a full-service mailed marketing campaign. PRESENTER: Scott Perry, Director of Sales, TradeNet Publishing. See you at the PPAI Expo, Jan. 10-14. Be sure to visit TradeNet Booth #5907. If you’re looking for a way to make a splash with lasting impact, think BIG. Sturdy and colorful 8.5×11 laminated cards are absolutely perfect for calendars and provide lots of room — front and back — for your messaging. And they’re great for mailers! No missing these over-sized colorful cards in the mailbox. Full color at one-color price. Every bit of space can be customized. TradeNet is again headed to Long Beach for the Specialty Advertising Association of California’s annual trade show. The SAAC Show takes place August 5-6 at the Long Beach Convention Center. TradeNet is one of the few designated Diamond-level sponsors of the SAAC Show. You’ll be seeing the TradeNet logo on show materials and TradeNet team members at various events. Make a point to attend one of the two educational sessions — Selling Direct Mail as a Promotional Product — as facilitated by Scott Perry, TradeNet Director of Sales. Scott will demonstrate how to sell direct mail as an extension of promotional products. The sessions start at 8:45 a.m. on both days of the show. CLICK for more information.